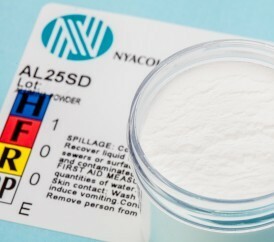 NYACOL® offers colloidal alumina in the form of water based sols, EG sols, and spray dried powders. The alumina is in the form of boehmite or pseudo-boehmite with high purity and high surface area. Please refer to the product data sheets for individual product details. Non-halogen flame retardant additive and flame retardant synergist with high surface area. For use as a binder for high-temperature refractories and ceramics. High-temperature coating/binder. 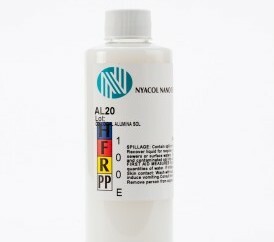 Used in applications where a water-based system cannot be used. For use as binders for high-temperature refractories and ceramics, catalyst wash-coats, catalyst formulation, precision polishing and paper coating. 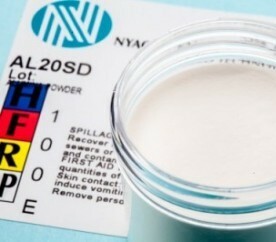 Applications include catalysts, as a binder for ceramics and refractories and paper coatings. 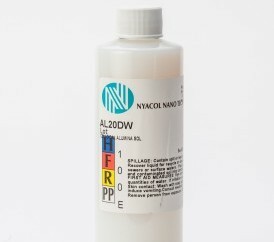 Used as a binder for high temperature refractories and ceramics, catalyst wash-coats, catalyst formulation, precision polishing and paper coating.